At this point in the summer, all you want is the heat to go away. Give us rain! A long, dry summer also means problems with dust control. Do you know cattle is affected by excess dust? A water truck helps control dust and get cattle back on track to a healthy summer. Does dust cause problems with cattle? Yes! Imagine that you are in a dusty, dry environment. But you can’t cover your face with your hands or clothing. This is the reality for cattle in dusty conditions. This causes respiratory problems and skin/fur problems. 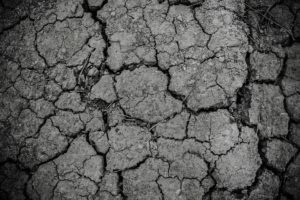 While the Midwest doesn’t always have this problem, more arid and dry areas do. There are a few methods taken to decrease the risk of this problem, but a water truck is an easy way to combat it every time. The best solution is a close eye on your pen and the manure on the top layer. Do not let manure get too deep. It dries in the sun and causes massive dust problems. Keep the manure non compacted and about 1 inch deep. A front end loader takes away excess manure. Other solutions depend on the size of the operation that you have or the type of cattle and how many cattle. This helps control or work to disrupt the natural balance of dirt, dust, and soil on your farm. It’s a task that needs to be kept up with or it leads to cattle getting sick, which is even worse than dealing with how thick a layer of manure should be. However, it’s also important to keep the soil wet and not let it dry out too much. A water truck makes the job that much simpler. Each consist of a truck with a tank and a sprayer usually on the back end. Water sprays evenly on the ground and gets the soil wet effectively for large areas. It is important to get things done in a timely fashion on a big operation. A water truck is a great investment for your farming operation for this very reason. At Osco Tank and Truck Sales, we build water trucks with a quick draw from almost any water around, including lakes, ponds, rivers and swimming pools. 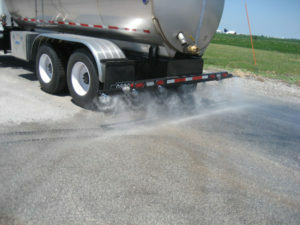 Use our water trucks for dust control. Osco builds each on new or used chassis, and this cuts down costs for dust control. Osco engineers water trucks for quality, durability, and performance. We build each to handle all types of terrain. Are you ready to get control of dust on your farming operation? Contact us today.